Congratulations to Barbara Luebben and Beate Eckert on their new book and CD of well-known songs arranged for overtone singing by women’s voices. 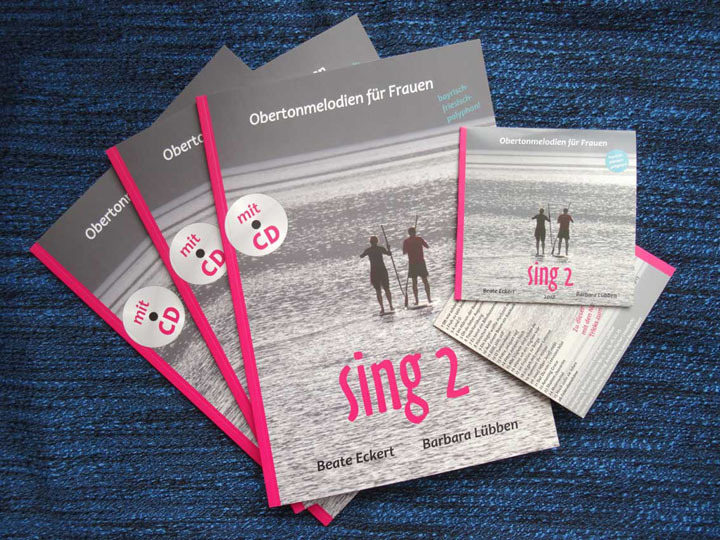 Don’t forget that my book “Eine Oberton Erfahrung/An Overtone Experience also has songs and exercises for women’s voices and recordings. My new book is finished! “The Overtone Singing Virtuoso” is 12 songs for advanced level polyphonic overtone singing with substantial commentary and instruction. Please share this news with anyone who might be interested, and don’t forget that the first book is free. Big thanks to Richard Meek for recording the bassoon parts for my compositions Alas! and What It Is, two of my favorite pieces. Richard is an outstanding musician and has always supported new music.